The Times of Israel liveblogged Thursday’s events as they unfolded. Several main roads in Tel Aviv are flooded as the city is overwhelmed by heavier than average rainfall. This morning, 50 millimeters of rain was recorded in Tel Aviv — with some 16 millimeters falling in the course of just one hour. Rokah Boulevard and Namir Road in Tel Aviv are both blocked to traffic. Around 20-30 millimeters of rain was recorded this morning in other regions along the coastal plain. A large pool of water formed in the area of Mesubim Junction on Route 4, a main intercity highway that runs along the coast. Flooding is also being reported in the central city of Rishon Lezion, where the water caused damage to cars. Rescue services are working to extract drivers who were trapped in their vehicles by the floods. Police are warning drivers to not try crossing any streams flowing over roads in the southeast of the country, citing concerns of flash floods. Drivers everywhere are urged to exercise caution in the wet weather. More heavy rain is predicted for this afternoon, sweeping in from the sea and spreading across the country. Snow and hail were expected later in the day in high areas of the central region although the snow was not likely to settle. An official news agency reports that Iran’s intelligence agency has confiscated large amounts of weapons and ammunition including bombs and grenades and officials are blaming Saudi Arabia for bringing them into the country. Yesterday’s report by the official IRNA news agency says the bombs were seized in the eastern part of the country and accused the Saudi intelligence service of bringing them into the country. A second operation took place against a “separatist group” in the Kurdish town of Marivan near the Iraqi border, where authorities seized grenades and rockets. In both areas occasional clashes take place between Iranian forces and IS-linked fighters and militant Kurdish separatists. Saudi Arabia has repeatedly accused rival Iran of sending weapons to Yemen’s Shiite Houthis rebels to fight the Saudi-backed coalition there. Lazio has been fined 50,000 euros ($61,000) but avoided a stadium ban over posters created by their fans featuring Holocaust victim Anne Frank, the Italian football federation (FIGC) announces. FIGC prosecutor Giuseppe Pecoraro had demanded a fine and two games be played behind closed doors after Lazio’s infamous ultra fans fly-posted photos of Anne Frank in a shirt of bitter city rivals Roma during a game against Cagliari last October. The FICG says in a statement that its sporting tribunal had decided on a “partial acceptance” of the prosecutor’s requests. US President Donald Trump’s peace envoy to the Middle East, Jason Greenblatt, condemns the “despicable” behavior of the Hamas terrorist group for holding two Israeli civilians and the bodies of two IDF soldiers. “All Israelis must be returned & I pray for their families,” Greenblatt posts. Hamas is currently holding the remains of IDF soldiers Staff Sgt. Oron Shaul and Lt. Hadar Goldin, who the army says were killed in the 2014 Gaza war, and is also believed to be detaining Avraham Mengistu and Juma Ibrahim Abu Anima, two Israeli men who crossed into Gaza of their own accord. US House Speaker Paul Ryan says more needs to be done to challenge Iran, a message that was welcomed by his hosts in the United Arab Emirates, where he is leading a Congressional delegation. The Wisconsin Republican delivers his remarks at the Emirates Diplomatic Academy. Ryan says the US wants to challenge Iran’s ability to threaten the region with ballistic missiles and stop its expansion across the Middle East. Emirati Ambassador to Washington Yousef al-Otaiba was so pleased with Ryan’s comments, he says the speech could have been his own. Some 5,000 US soldiers are based in the UAE, and its Jebel Ali port is the US Navy’s busiest foreign port of call. The delegation visited Saudi Arabia yesterday and met with Saudi King Salman. Dozens of Holocaust survivors are urging Prime Minister Benjamin Netanyahu to stop the deportation of tens of thousands of African asylum seekers back to the continent. In a letter sent to the prime minister, a group of 36 survivors called on the prime minister to make a “historic decision” and reverse the controversial deportation plan, according to the Haaretz daily. “Do the Jewish thing, like Menachem Begin who accepted refugees from the Vietnam War, and gave those asylum seekers life. The leading European human rights assembly votes to pass a resolution condemning the US decision to recognize Jerusalem as the capital of Israel, but it is amended at the last minute to include an Israeli-drafted amendment calling for the Palestinian Authority to stop financing terrorist activities. The Palestinian-drafted resolution is the first time the Council of Europe has called on the PA to stop financing terrorist activities against Israel. 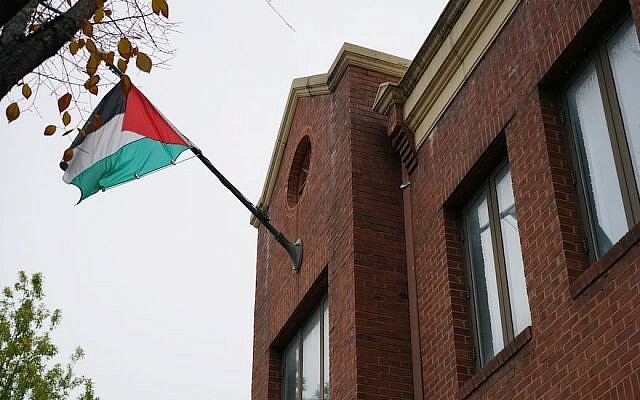 A statement from Ambassador Carmel Shama-Hacohen’s office says other Palestinian efforts to have the text further amended to include harsher criticisms of Israel were not included in the final draft. Shama-Hacohen in the statement called the vote a “diplomatic achievement” for Israel. “The Palestinians, I think, are sorry for instigating the unnecessary move, but that’s how it is when you’re constantly preoccupied with lies and incitement,” he says. Egypt’s Foreign Ministry expresses its “absolute rejection” of a statement by US Sen. John McCain criticizing the country’s crackdown on human rights and democracy under President Abdel-Fattah el-Sissi. The statement comes on the seventh anniversary of the January 25, 2011, popular uprising that toppled Egypt’s longtime autocrat Hosni Mubarak, ushering in years of instability punctuated by military and Islamist rule, and Sissi’s rise to power. A Jewish extremist convicted of carrying out a July 2015 arson attack at the Church of the Multiplication of the Loaves and Fishes in northern Israel is appealing his four-year jail sentence for the hate crime. In December, the Nazareth Magistrate’s Court sentenced Yinon Reuveni to four years in jail, plus two years’ probation, and ordered the 22-year-old to pay NIS 50,000 ($14,00) in compensation to the church. Ahead of International Holocaust Remembrance Day, the Diaspora Ministry unveils a new technology capable of detecting anti-Semitic content online. The technology, known as the Anti-Semitism Cyber ​​Monitoring System, or ACMS, is “the most advanced development in the world for monitoring anti-Semitism in real time,” the ministry says in a statement. According to the ministry, the ACMS tracks anti-Semitic posts on social media and can detect how widely they’ve been shared, who is sharing them and which cities and countries produce the most anti-Semitic content. The system uses the International Holocaust Remembrance Alliance’s definition of anti-Semitism when scanning for content, and will initially monitor posts in English, Arabic, French and German on Facebook and Twitter before expanding to other platforms and languages. In addition to the system itself, the ministry will operate a “war room” to analyze the anti-Semitic posts and will share the content with internet companies so they can be removed. A new report suggests that the Eiffel Tower may have been among the targets of the Islamic State cell that attacked Barcelona last year. The protective wall that surrounds the Eiffel Tower was installed after video of a trip to Paris was found in a destroyed hideout, according to the report by researchers Fernando Reinares and Carola Garcia-Calvo in January’s CTC Sentinel, a research publication into terrorism. The cell attacked Barcelona’s La Rambla and a beachside town, killing 16 people in August. Only flawed bomb construction prevented a deadlier attack. The hideout blew up as the cell was assembling explosives. According to the report, based on interviews with investigators and court documents, members of the cell traveled to Paris before the attack, for reasons investigators have yet to determine. There, they bought a camera and filmed the Eiffel Tower. A Budapest church says it has canceled a controversial mass and memorial for Hungary’s Nazi-allied wartime leader Miklos Horthy scheduled for the United Nations Holocaust day. The event was set for Saturday, January 27, designated by the UN in 2005 as International Holocaust Remembrance Day to mark the 1945 liberation of Auschwitz-Birkenau, the largest of the Nazi death camps. “It didn’t enter our heads when we began organizing that it fell on that date,” Zoltan Osztie, parish priest at the church and leader of event organizer the Association of Christian Professionals (KESZ), tells a religious affairs website. Hungary’s main Jewish organization Mazsihisz criticized KESZ yesterday as well as Sandor Lezsak, a lawmaker with Prime Minister Viktor Orban’s ruling Fidesz party, who was scheduled to make a speech there. Former coalition whip David Bitan has been summoned to his fifth round of police questioning on Sunday as part of the ongoing corruption probe on suspicion of bribery, fraud, money laundering, and breach of trust. Bitan is under investigation for allegedly accepting more than NIS 500,000 ($145,000) in bribes from businessmen while serving as deputy mayor of the coastal city of Rishon Lezion. Last week, Haaretz reported the police investigation into Bitan was boosted by a “major development” that is likely to spell more trouble for Bitan. US President Donald Trump tells Prime Minister Benjamin Netanyahu that Palestinians could face further reductions in aid from the US if they continue to refuse to negotiate a peace agreement with Israel. Meeting at the World Economic Forum in Davos, Switzerland, Trump says “Jerusalem is off the table” for Palestinians in future peace talks. “We have discussions going with Israel on many things including trade,” Trump says. “But the big move, and something that is very historic and very important, is the fact that we’re moving the embassy to Jerusalem,” he says, adding that “it’s way ahead of schedule, by years. “We anticipate a small version [of the embassy] working sometime next year,” Trump tells Netanyahu. Trump warns Palestinians to return to the negotiating table with Israel or face further cuts in US aid. Asked if he’d heard Abbas’s recent remarks castigating the US, Trump says “I didn’t really read his remarks personally. I’m probably better off not seeing them. But we’ve done a lot for them, and hopefully they’ll going to to make peace for their people. Prime Minister Benjamin Netanyahu thanks US President Donald Trump for his “historic” decision to move the US embassy in Tel Aviv to Jerusalem. Netanyahu goes on to tell the US president that Israel supports his administration’s opposition to the Iran nuclear deal. He says he looks forward to maintaining the “remarkable partnership” in the years ahead. President Trump meets with Israeli PM Benjamin Netanyahu at the World Economic Forum in Davos. “Today I spoke with a group of EU Heads of Mission to the PA. At the right time, we will work together with all our friends & allies in Europe, and beyond, to advance our goal of peace,” Greenblatt posts on Twitter. “The road we travel to lasting peace requires the efforts and support of many,” he says. Greenblatt arrived in Israel yesterday to meet with envoys from the Middle East Quartet to advance an Israeli-Palestinian accord, amid the continued diplomatic fallout from Trump’s decision to recognize Jerusalem as Israel’s capital last month. Actors Hugh Grant and Viggo Mortensen are among more than 25 celebrities and public figures expressing “horror” over US President Donald Trump’s decision to cut funding to the UN agency for Palestinian refugees, according to an advocacy group. Actresses Gillian Anderson, Olivia Wilde, Emma Thompson and Tilda Swinton are also among the signatories. Expressing frustration with a freeze in Mideast peace efforts, Trump this month blamed the Palestinians for the deadlock and threatened to cut US funding. Washington subsequently suspended a $65 million payment to UNRWA, the UN agency that provides education, health care and other social services to over 5 million Palestinian refugees and their descendants scattered across the Middle East. Nearly 18 years after a bombing at a German commuter rail station that targeted Jewish immigrants, an alleged neo-Nazi denied the crime as he went on trial today. Ralf Spies, 51, is facing 12 counts of attempted murder and a charge of causing an explosion for the attack in the western city of Dusseldorf on the afternoon of July 27, 2000. Spies was known to police as a right-wing extremist at the time and ran a military surplus store near the scene of the crime, which shocked Germany and drew international condemnation. At today’s hearing, he tells the court that he had not carried out the bombing and didn’t know who had, DPA news agency reports. “I was definitely not at the scene of the crime at the time it happened,” he says. The former head of the Arab League Amr Moussa says US President Donald Trump’s efforts to broker a Mideast peace deal has humiliated the Palestinians. “If the purpose of President Trump’s statements is to ensure that one side wins and another side is the humiliated loser, then nothing will come from this peace plan,” Moussa tells Israel’s Walla news on the sidelines of Davos. Trump earlier said in Davos the Palestinians had “disrespected” the United States by refusing to meet with his Vice President Mike Pence. A spokesman for Palestinian Authority President Mahmoud Abbas said they would not meet with the US administration until it withdrew its recognition of Jerusalem as Israel’s capital. “Hate-filled speeches and end-runs around negotiations take us nowhere,” she says referring to Abbas’s fiery speech last week to the PLO. Prime Minister Benjamin Netanyahu slams the Iran nuclear deal during the World Economic Forum in Davos, Switzerland. “The preeminent terror state of our time to produce nuclear weapon,” he tells CNN’s Fareed Zakaria. “I think that the present deal is so deeply flawed that it guarantees that Iran will have the opportunity to make nuclear weapons,” Netanyahu says. “By the way, the Arab states — unnamed states — agree with me. 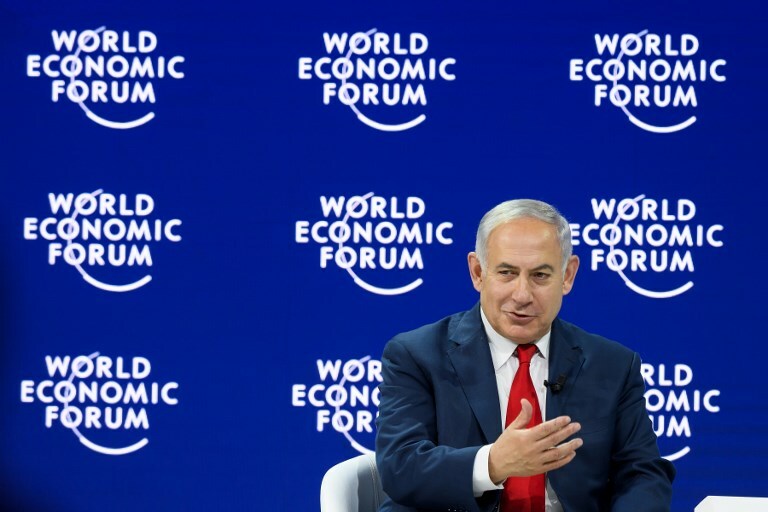 Netanyahu at Davos hails the budding ties between Israel and the Arab world. “I’d agree that there’s an alignment of Israel and other countries in the Middle East that would’ve been unimaginable 10 years ago, and certainly in my lifetime,” he tells Fareed Zakaria. He says another reason for the Arab world’s interest in Israel is its technological prowess. Netanyahu hails Trump’s decision to recognize Jerusalem as Israel’s capital, but says the shift in US policy does not signal the end of a two-state solution. “President Trump made history by recognizing history, by recognizing those indelible facts of the past and the present,” Netanyahu tells Fareed Zakaria at the World Economic Forum in Davos, Switzerland. The prime minister reiterates that Trump’s announcement does not mean a change in the status quo at Israel’s holy sites, but says Jerusalem will always remain under Israel’s sovereignty. “We’re keeping the holy sites and the status quo, and I want to stress that under any arrangement that we have, we will always keep the status quo at the Temple Mount and all of the holy sites,” he says. Netanyahu also rejects claims that Israel has been emboldened by the Trump administration to annex further territory in the West Bank. “I think it’s a complete distortion. I think they want to govern themselves, which I don’t have any problem with that,” he says. Netanyahu lauds the “very able team” of US President Donald Trump working toward a Mideast peace deal, but says PA President Mahmoud Abbas is unwilling to negotiate with Israel. “If you want to have peace, you have to negotiate peace and the fact is that Abbas refuses to negotiate,” Netanyahu tells CNN’s Fareed Zakaria. “The thing that people don’t realize is that people have made their mark in the markets in the real estate field, this is not a real estate deal, but it does have real estate elements,” he says. 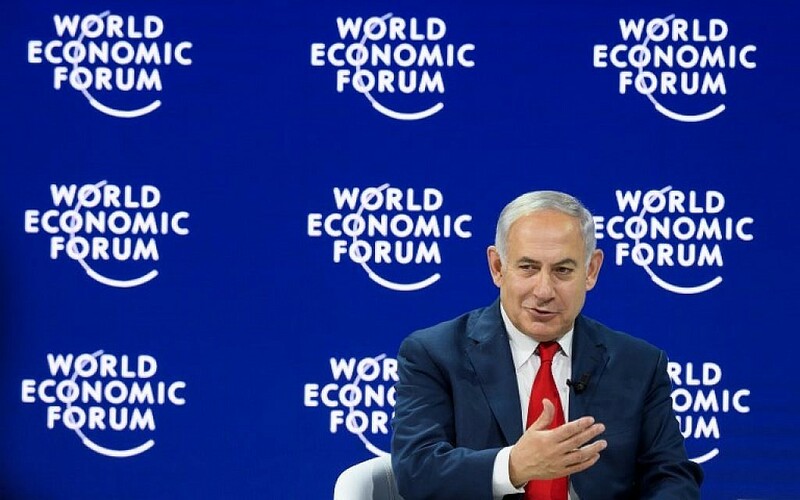 Netanyahu downplays the ongoing corruption investigations into him at the World Economic Forum in Davos, Switzerland. “Nothing will come out of any investigation because they’re nothing to come out,” he says in an interview with Fareed Zakaria. “Next year, you’ll see if I’m right, and you’ll see that I am,” he says. US first lady Melania Trump remembered the millions of victims of the Nazis, with a visit to the US Holocaust Memorial Museum in Washington. US President Donald Trump was at a global economic summit in Davos, Switzerland. The president is delusional if he believes this approach offers any kind of pathway to peace,” J Street says. Prime Minister Benjamin Netanyahu says Trump’s Mideast peace plan has exposed the fact that Palestinians don’t genuinely seek peace with Israel. “President Trump trusts in the negotiations. He knows to set clear stances, but also to leave things vague. He made an historical and explicit statement on Jerusalem and he expects both sides to come and grapple with the plan proposed by his team. We are ready for the plan at any time,” he tells reports at the World Economic Forum in Davos. “The Palestinian position has been exposed. They want to escape from a genuine discussion on real peace that includes recognition of the Jewish state that is in control of its own security,” he says. “President Trump expressed his belief that if we come to the table and they do as well that we will then be able to hold negotiations on the issues. We are ready for negotiations, but I do not see that they are as well,” the prime minister adds. Asked by The Times of Israel if the issue of settlements was raised in the meeting, Netanyahu shook his head, no. The Hadashot news report comes hours after Trump said the US would no longer transfer monetary aid to the Palestinians unless they entered peace negotiations with Israel, and excoriated the Palestinian leadership’s reaction to his decision last month to recognize Jerusalem as Israel’s capital. Trump is the first US president to come to the forum in Davos since Bill Clinton in 2000. Earlier today, he met with the leaders of Britain and Israel, Theresa May and Benjamin Netanyahu, and was due to give a speech to the forum tomorrow. Later today he is due to hold a reception with CEOs and other global executives. Addressing the Security Council, Danny Danon says Iran controls 82,000 fighters in Syria, including 9,000 members of the Lebanese terror group Hezbollah, 10,000 Shiite militiamen from Iraq, Afghanistan and Pakistan, and another 60,000 Syrians. “We are releasing this classified information because it is vital for the world to understand that if we turn a blind eye in Syria, the Iranian threat will only grow,” he says. Danon goes on to say the size of the Iranian-backed force in Syria is proof of Tehran’s intentions to sow chaos in the region and threaten Israel. Rescue teams are continuing their search for a hiker who has been trapped in a deep canyon between the pools at the Zavitan River since noon today. The hiker got stranded in the Golan Heights nature reserve during heavy rains and stormy weather earlier today. The IDF and local volunteers have joined the search efforts. 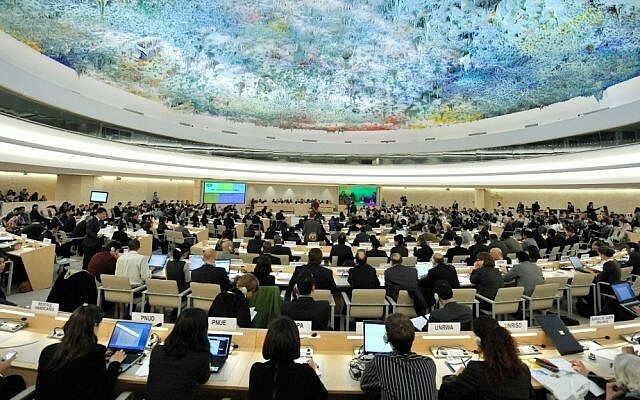 A United Nations’ review of human rights issues in Israel has issued 240 recommendations, including that it end settlement expansion. The US made no recommendations in the report. Ghassan al-Shakaa, a senior member of the Palestine Liberation Organization and former mayor of the West Bank city of Nablus, has died at age 74. His son Walid says his father died earlier today of pneumonia. He also suffered from kidney problems and prostate cancer. Al-Shakaa served as mayor of Nablus, the West Bank’s second-largest city, from 1994-2004 and from 2012-2015. He also served on the PLO Executive Committee. In 1996, he was elected to the Palestinian parliament as a candidate for Fatah, the movement headed by Palestinian Authority President Mahmoud Abbas. Al-Shakaa, a lawyer, was arrested by Israel in 1981 and served 15 months in prison for Fatah membership. Britain’s Labour party advised its members to block an effort in parliament that would see the Lebanon-based terrorist organization Hezbollah banned entirely. The House of Commons is debating the issue today at the request of Joan Ryan, a Labour lawmaker and chair of the party’s Friends of Israel group, according to The Jewish Chronicle. The United Kingdom, like the European Union, outlaws contacts with Hezbollah’s military wing but not its political wing. A Labour Party circular sent to lawmakers ahead of the debate suggests banning the group in its entirety “could be a move against dialogue and meaningful peace negotiations in the Middle East,” according to the Chronicle report. Erykah Badu has responded to criticism following an interview in which she said she sees a good side to everyone, including Adolf Hitler. In a series of tweets Thursday, the singer stresses she was trying to impart a “message of compassion” and encouraged people to read the entire interview, not “out of context” headlines. The comments come a day after Vulture published an interview with Badu in which she had supportive things to say about Bill Cosby and Hitler. “I see good in everybody. I saw something good in Hitler,” she said.